Prior to the aluminum sulfate treatment Barr Engineering recorded 220 ug/L phosphorus and 45.5 ug/L Chlorophyll a (algae density). Following the alum treatment Barr Engineering measured 59 ug/L phosphorus and 4 ug/L Chlorophyll a. Spring lake is 600 acres in size located in central Minnesota near the town of Prior Lake. In 2011 the Prior Lake – Spring Lake Watershed District completed a Total Maximum Daily Load (TMDL) study and determined Spring Lake was impaired, or threatened, by an excess of phosphorus. 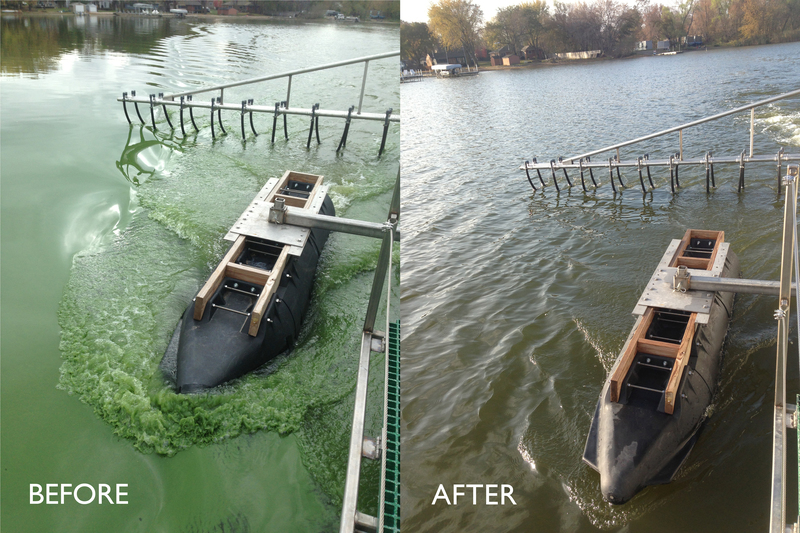 The watershed district turned to HAB Aquatic Solutions for assistance in cleaning up the lake. In an effort to reduce the phosphorus in the lake, a partial lake alum treatment was completed in Fall 2013.